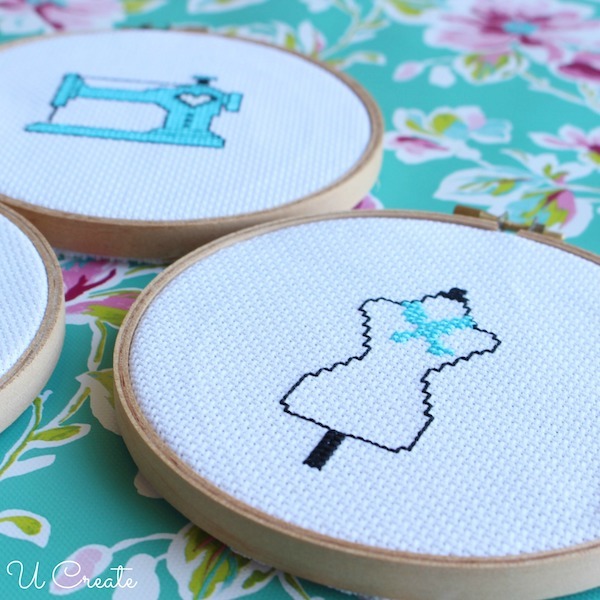 I’m working on a gallery wall in my craft room and came up with a couple of sewing-themed cross stitch patterns! 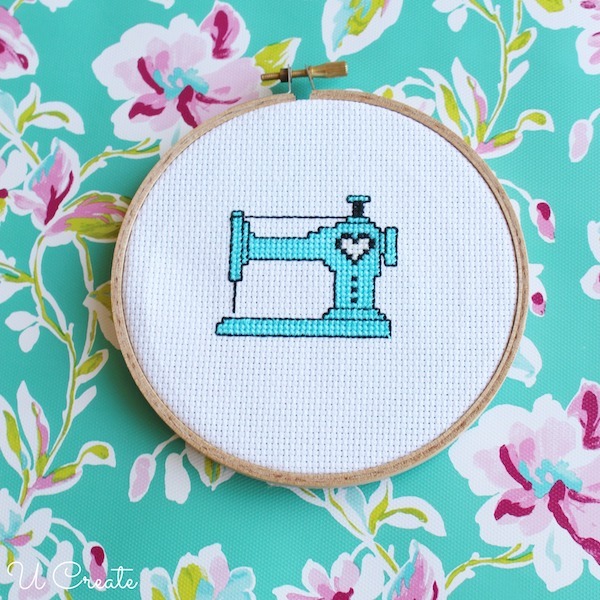 Of course, I decided to share these free sewing machine cross stitch patterns with you! 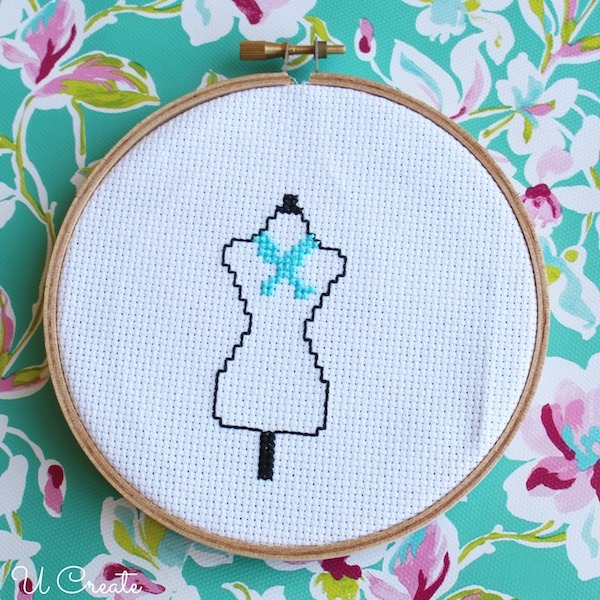 …and the dress form pattern. 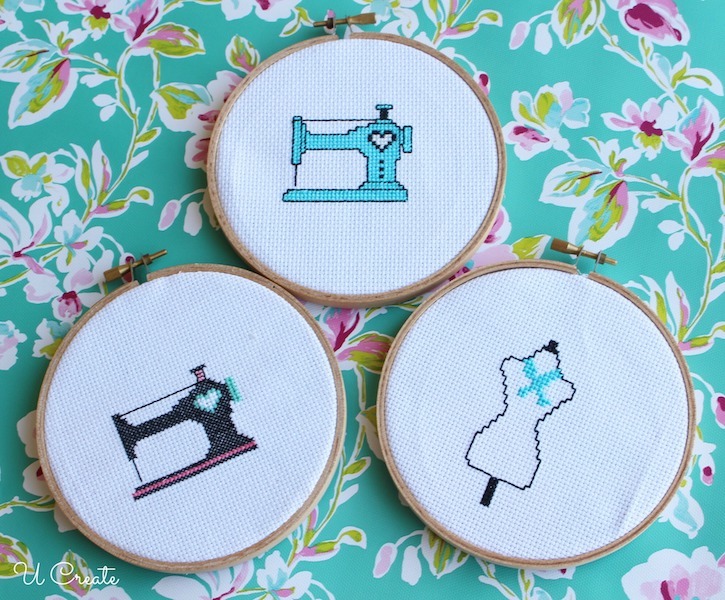 The great thing about these patterns is they are easy enough to teach beginners and kids! 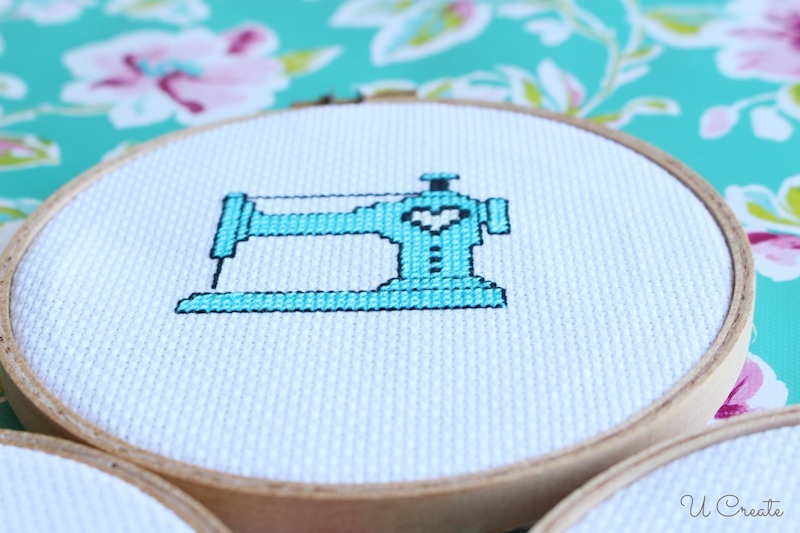 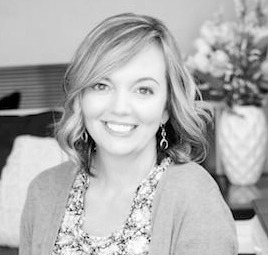 Use the colors provided in the pattern or change it up with your favorite colors to give it a new look! 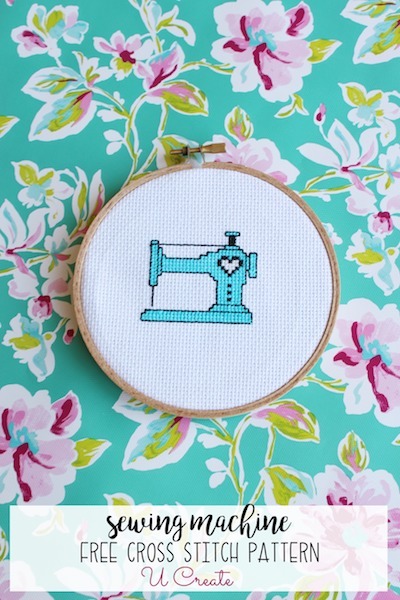 Place in a hoop or frame as a gift, sew on a pillow, quilt, etc.! 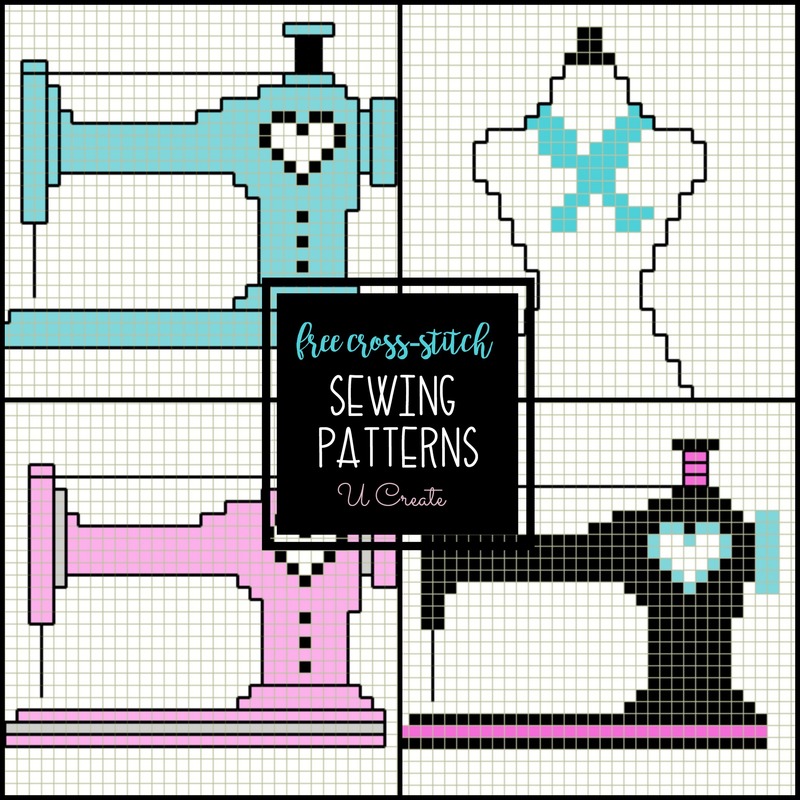 So many fun things you can create with these patterns!